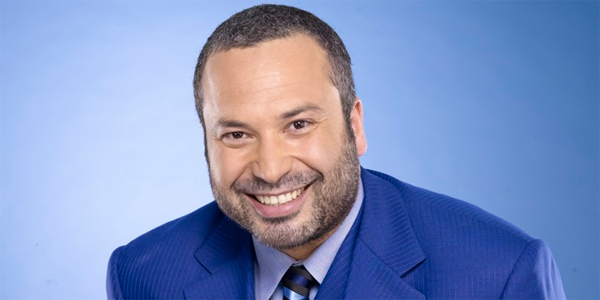 Ahmed Ahmed is an Egyptian-American stand-up comedian who rose to prominence as part of the Axis of Evil Comedy Tour featuring comedians from the Middle East. We spoke to him ahead of his ongoing run at the Soho Theatre in London. Hello Ahmed Ahmed. Are you looking forward to your run at the Soho Theatre? I’m very much looking forward to my run at The Soho Theatre! Opening night was last night and we had a great turnout. It’s been over 10 years since I have been to London so this is a nice return for me. You’ve performed in the UK before, including the Edinburgh Fringe. Did you enjoy the experience? I’ve always enjoyed coming to the United Kingdom to offer my brand of comedy. I also appreciate the culture, the people, and the things to do here. 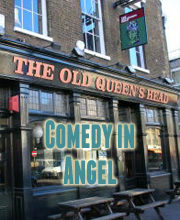 How does the UK comedy scene differ from the US? The comedy scene in the UK and the comedy scene in the US for me is very similar. I feel like my style of comedy crosses over on both sides. But UK crowds seem to be a little bit more highbrow and more interested in culture and politics. You’re from a Muslim background. How did that impact your start in the comedy world? How did your family react when you said you wanted to be a comedian? At first my parents were very much against me doing standup comedy. They wanted me to take the normal path of an Arab son which is to be a doctor or lawyer or own your own petrol station. LOL. Now they are overly supportive and my dad even tries to write jokes for me now. How have perceptions of comedy changed within the Muslim community since you started? It’s starting to open up more and more… In the last 10 years I’ve seen many more Muslim comedians come out of the woodwork’s to brand their style of comedy as a Muslim. It’s slowly evolving and changing every day. I hope one day Muslims around the world can laugh at themselves. When we can laugh at ourselves the rest of the world will laugh with us. Are they any UK comedians that you admire? Ricky Gervais is amazing! I’ve also open for him in the US. He’s a great guy. Also I love Omid Djalili who is such a powerhouse comedian and a phenomenal actor. He’s also a dear friend of mine. His manager is the one who brought me out here. I’m grateful for that. If you could change one thing about the US comedy scene, what would it be? Well… In the US we have freedom of speech so I don’t think I would change much in that sense. Although it would be nice if some of the comedy outlets and channels would be more excepting to Middle Eastern comedians like myself. In the US we are allowed to push the boundaries a bit and that being said I wish that HBO, Comedy Central or Netflix would recognize me in that way. I will be shooting my comedy special regardless early next year titled “AHMEDICA” and hope to find a home for it.